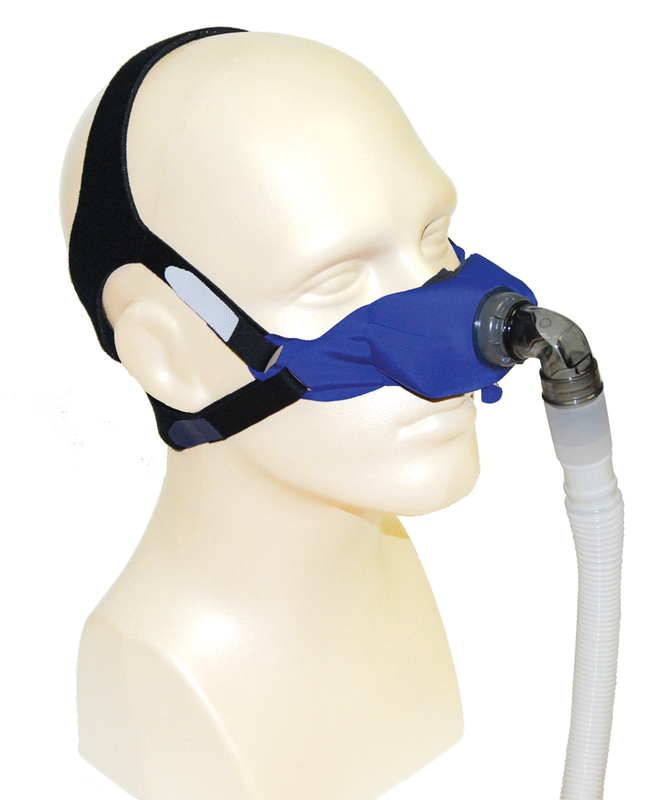 The SleepWeaver Elan soft-cloth Nasal Mask features exhalation holes under the mask to match up with your natural nasal exhalation. 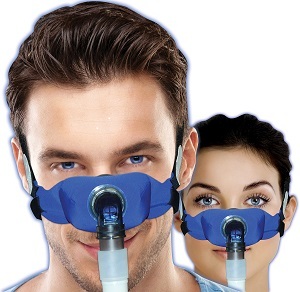 The mask is angled so the exhalation doesn't bother you or your bed partner. 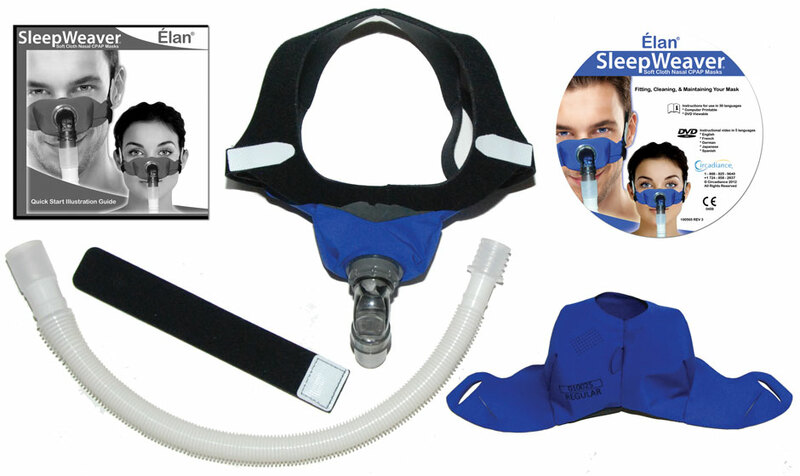 The SleepWeaver Élan Nasal Mask Starter Kit is for individuals who may not know their mask/cushion size as it comes with 3 different sizes to try out. SleepWeaver Elan - Quick Fit Tips from Circadiance LLC on Vimeo.